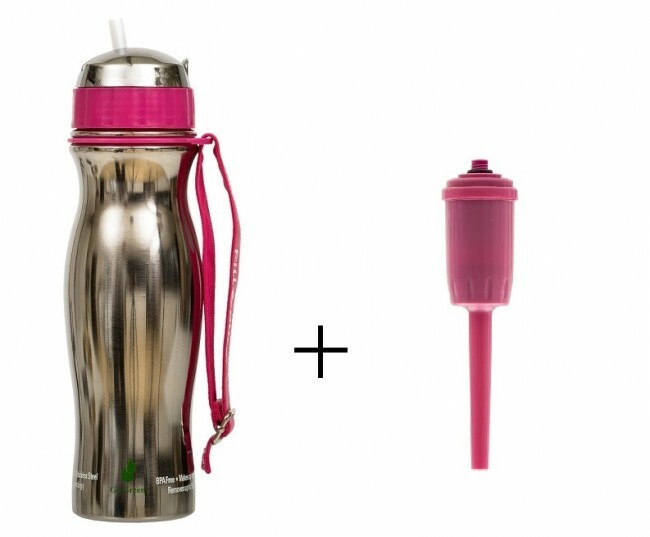 Enjoy great-tasting, safe, clean water on the go, with this stylish stainless steel water filter bottle. 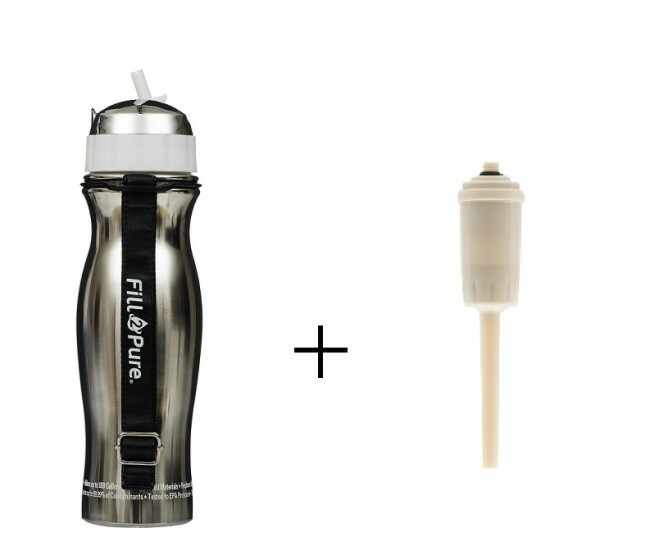 725ml bottle instantly filters up to 99.99% of impurities from water. The filter reduces Chlorine, Fluoride, agricultural and industrial chemicals, pesticides, and heavy metals. It amazingly leaves in beneficial minerals like calcium, magnesium and potassium that are beneficial to your health. It's easy to use – simply fill the bottle from any municipal water source and the filter gets to work straight away, delivering safe, clean water instantly. 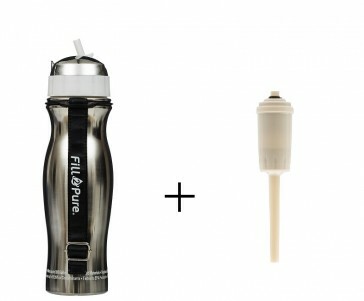 Now you can take your own lightweight water filtration plant with you, wherever you go. Use it at home, in the car, at work or the gym. It’s ideal for driving and cycling, because the ‘no-tip-to-drink’ spout lets you keep your eyes on the road. And the high flow rate means it’s great for sports and exercise when you need hydration fast. Made from non-toxic, food grade and BPA-free materials, these bottles are a safe and healthy choice for your whole family.